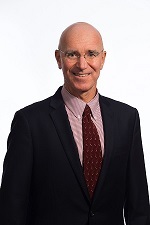 June 17, 2016 – Boston, MA – The Environmental Business Council of New England (EBC) is pleased to announce the election of Robert D. Cox, Jr., a Partner with Bowditch & Dewey, LLP, as the Vice Chair of Programming, Executive Committee, EBC Board of Directors. A board member since 2003, Mr. Cox has also been an active member of the EBC Water Resources Committee. Mr. Cox is recognized as one of the top environmental lawyers in Massachusetts by Chambers USA, America’s Leading Lawyers for Business. He has been selected by his peers as one of the Best Lawyers in America in the practice area of Environmental Law and Litigation – Environmental, and since 2004, he has been selected for inclusion in Massachusetts Super Lawyers. Mr. Cox counsels clients on environmental compliance and enforcement actions. He represents clients with respect to water, air, hazardous waste, and solid waste matters before the United States Environmental Protection Agency, Massachusetts Department of Environmental Protection and local regulatory boards. He has significant experience in NPDES water permitting, including appeals of NPDES permits to the Environmental Appeals Board, as well as administrative appeals and hearings on MassDEP issued permits. He defends claims and actions brought by government environmental enforcement agencies. He also represents clients in cost recovery claims and private party litigation under Chapter 21E and CERCLA in state and federal courts. He regularly advises clients on brownfields development activities and on strategies to limit or shift environmental liability risks in connection with real estate or business transfers. Mr. Cox is a frequent speaker on environmental law and has authored many publications on current topics in the practice of environmental law. He was founding chair of the Environmental Law Section of the Worcester County Bar Association. Mr. Cox is active in various civic and professional organizations in addition to the Environmental Business Council, including the Massachusetts Bar Association, Boston Bar Association, Worcester County Bar Association and MCLE, and in the Town of Rutland, where he served on the Zoning Board of Appeals for 15 years. Mr. Cox was voted in as Vice Chair of Programming on the EBC Board of Directors at the EBC’s 26th Annual Meeting on June 16, 2016. He will serve a two year term.